The opening of the last decade of the nineteenth century witnessed the concentration of the syndicate business, carried on through the two media of printed service and stereotype plates, into the hands of one dominant organization. The mat and copy services rapidly increased in number and almost as rapidly decreased through consolidations and mergers. It was an era of "big business" in every branch of American industry and syndicate service followed that trend. In the same year that the Western Newspaper Union took over the plate business of the Standifords' International Press Association in Chicago, thereby bringing it into active competition in this branch of syndicate service with the American Press Association and the Kellogg Newspaper Company, Joslyn, as trustee, bought the Western from its directors, giving them stock in the Western Newspaper Union of Illinois which was incorporated in that state on July 23, 1890. He was determined to make his syndicate supreme in the country newspaper field and set about energetically to accomplish that ambition. In 1891 editorial headquarters were established in Chicago and placed in charge of E. C. Standiford, who was authorized by the board of directors to "get up all matter to be used in readyprint and plates, to employ editors and such other help as he may deem necessary for this purpose." In the same year the Galveston office was closed but in 1892 a branch house was opened at Winfield, Kan. In 1894 the Western re-entered the Texas field with a branch office at Houston and in the same year combined its Winfield branch with the Kansas Newspaper Union and moved the office to Wichita. In 1897 Joslyn's company penetrated even farther into the Rocky Mountain territory with a branch office at Salt Lake City, Utah, and four years later opened a new office at Oklahoma City. During all this time the Western's expansion of its printed service business was being bitterly contested by the Chicago Newspaper Union, which had opened additional offices at Fort Wayne, Ind., and Sioux City, Iowa, but more particularly by the Kellogg company, which had established branches at Wichita, Kan., in 1890 and at Little Rock, Ark., in 1892. Moreover, the Kellogg list of papers was mounting steadily—from 1,760 in 1890 to 1,887 in 1895 and to 1,957 in 1900. Thereafter the number fluctuated up and down each year but never again reached the mark set at the opening of the new century. In January, 1906, Joslyn attained the first objective in his ambition to dominate the syndicate field when he purchased the Kellogg company and in June took over its plate business and its list of 1,827 papers supplied with printed service from the nine Kellogg offices.3 The acquisition of this company, however, was only the first step. In 1909 the Western Newspaper Union absorbed the Northwestern Newspaper Union at St. Paul, Minn., with its branch houses at Fargo, N. D., and Sioux Falls, S. D., and the Indiana Newspaper Union at Indianapolis.4 The St. Paul syndicate had been supplying 526 newspapers and the Indianapolis company, 65, so Joslyn's company added nearly 600 more newspapers to its list of printed service customers. In 1910 Joslyn purchased Beals' New York Newspaper Union with its seven branches, supplying 1,021 newspapers, and in the same year Cramer, Aikens and Cramer's Chicago Newspaper Union with its four offices and its list of 906 papers. Two smaller lists, one of 47 papers supplied by the York (Neb.) Newspaper Union, and another of 34 papers which received printed service from the Wisconsin State Journal at Madison, were also absorbed at this time. Joslyn now had a virtual monopoly on the syndicate business supplied through the medium of printed service. In the space of four years he had bought out all of his principal competitors and added more than 4,000 newspapers to the Western Newspaper Union lists. The acquisition of the Kellogg company had also given him the largest plate supply department of any syndicate then operating. But there was still an important rival in that field—the American Press Association. Joslyn, however, had not lived to see his triumph complete. He died in Omaha, Neb., October 4, 1916. At that time the Western Newspaper Union was capitalized for $6,500,000 and was operating on a nationwide scale—a far cry from the almost bankrupt State Printing company of 40 years before. The greatest factor in its growth had been the financial genius and aggressive leadership of the young New Englander w ho had started as the $18-a-week manager of its Omaha office back in 1880. Joslyn was succeeded as president of the Western Newspaper Union by H. H. Fish, its present chief executive.6 After acquiring the plate business of the American Press Association, the Western also began building up its facilities for supplying service through the medium of mats and copy and today it is not only the largest newspaper syndicate in the world, in point of number of newspapers using its service, but it is also the only syndicate which supplies that service through four media of delivery—printed service, plates, mats and copy. During the time Joslyn's organization was rising to its position of supremacy in the printed service and plate field, other syndicates were springing up to compete in the mat and copy field. Some of these were independent ventures which started up and soon disappeared or consolidated with rivals to form new organizations. Others were subsidiaries of metropolitan newspapers which added to their prestige and financial standing by syndicating the work of their most popular writers and artists to other newspapers. The year 1895 was especially significant in this era of syndicate history. It was about that time that Frank Carpenter started syndicating his series of travel letters to newspapers and became so successful that he soon had a number of imitators or would-be imitators. At that time, too, the New York Herald Syndicate entered the field. 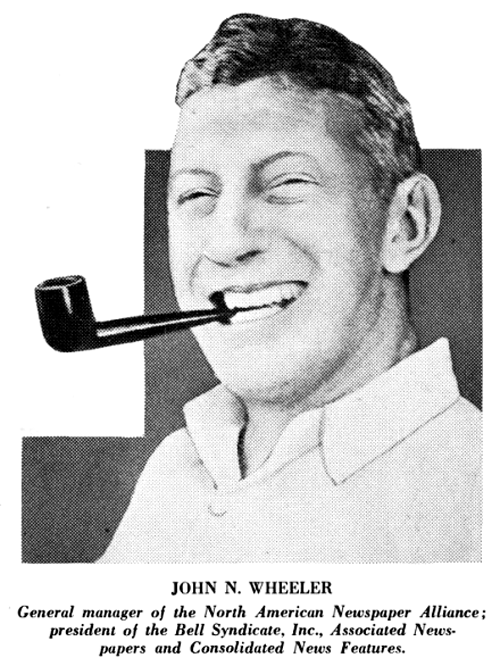 It began with a news bureau which T. O. Davidson found in operation when he joined the Herald staff and under his direction the news bureau branched out into the feature syndicate field, supplying first news pictures in mat form and later Sunday comic pages, daily comics, and a variety of general features syndicated in copy form. Among the Sunday pages were Winsor McCay's "Little Nemo" and "Dream of a Rarebit Fiend." When the New York Tribune purchased the Herald in 1924, it also took over this syndicate and merged it with its own which had been established in 1914. The first of the Hearst syndicates was also started in 1895. In that year one of the editors of the Pittsburgh Press, observing the rapid rise of the circulation of the Hearst papers, wrote to the New York Journal to inquire if he could buy some of its features for his paper. The result was the organization of the Hearst syndicate with Curtis J. Mar as its general manager. The features supplied by this syndicate included daily and Sunday magazine articles by "Dorothy Dix," Garrett P. Serviss, "Beatrice Fairfax," Max O'Rell and Ambrose Bierce; the well-known "Mr. Dooley" stories by Finley Peter Dunne; poems by Ella Wheeler Wilcox and a number of comic strips. In 1906 Hearst organized his International News Service and three years later Richard A. Farrelly, as general manager, took over the distribution of the features mentioned above, thus discontinuing the name of the Hearst syndicate. 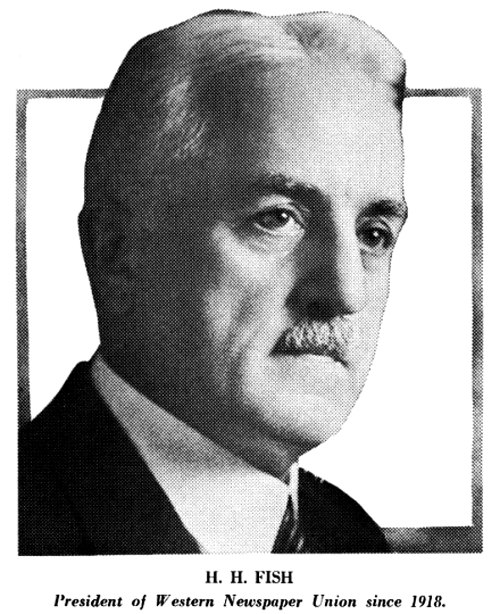 In 1916 William H. Johnston succeeded Farrelly and at that time the Hearst feature organization became a producing concern. It took charge of all the work of the Hearst writers and began selling their product to Hearst papers in the same manner as it sold them to other publications. In 1913 a Hearst executive, M. Koenigsberg, started a new company called the Newspaper Feature Service, launched the King Features Syndicate the next year and soon afterwards the Premier Syndicate. While these three were ostensibly separate organizations, it was generally known that all of them were Hearst subsidiaries. Then Koenigsberg succeeded Johnston as head of the Hearst feature enterprises, all of them being merged into one company with the Newspaper Feature Service and the Premier Syndicate acting as the producing agencies and King Features Syndicate as the sales agent. About 1898 the New York World, in response to the requests of other newspapers, began syndicating some of its features, including the colored comics which had resulted in adding the term "yellow journalism" to the American vocabulary.7 But it was not until 1905 that the World syndicate, as a subsidiary to the Pulitzer paper, became a real business organization. It continued its operations until 1931 when the Scripps-Howard chain of newspapers purchased the World and merged this syndicate with the United Features Syndicate, an outgrowth of the "literary department" established by the United Press in 1891. Many of the syndicates established during this era required that all papers seeking their features sign a contract for a specified time and in some cases a certain feature much in demand could only be secured by contracting for the whole service. A departure from this method was introduced in 1899 when Howard E. Miller and R. Maurice Miller founded the International Syndicate in Baltimore, Md., as an independent company. They announced a policy of "no contract," and sold their features separately from the others, giving their customers the privilege of discontinuing the service at any time by merely giving notice. Another innovation in syndicate practice was introduced in 1901 when Robert F. Paine, managing editor of the Cleveland Press, and William B. Colver, its former telegraph editor, started the Newspaper Enterprise Association and supplied features exclusively to newspapers in the Scripps-McRae (later Scripps-Howard) chain. They offered the first "budget service," a variety of features selected with the idea of filling every feature need of the Scripps papers. Under the management of A. M. Hopkins, Marlen E. Pew (at present editor of Editor and Publisher) and Sam T. Hughes, the success of this idea became so pronounced that newspapers outside the chain sought the service and in 1909 NEA Service. Inc., was organized. It provided the large city daily with everything it required except local and telegraph news. It specialized in illustrated news features which barely missed being "spot news." Perhaps the most distinctive factor of this syndicate's operations was its "preparedness service," for by constantly looking ahead of the day's news, it provided its clients with suitable pictures and informative sidelight material for any "spot news" that might come over the wire. Nine years after the two Cleveland editors started NEA service, another "budget plan" syndicate was begun there. This was the Central Press Association, founded by V. V. McNitt in August, 1910. 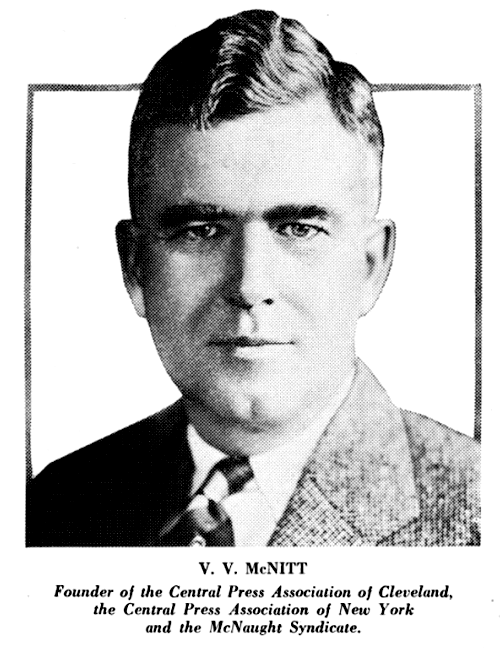 McNitt had some assistance from Harry Talmadge and Nat Wright, lessees of the Cleveland Leader. However, the backing they provided was withdrawn the next year as McNitt gave them preferred stock on their loan but they still continued to supply him with mechanical facilities at cost. In 1907 George Matthew Adams, a young advertising man, talked the manager of a Chicago office building into allowing him to have an office for a month on credit. Then he got busy, wrote a series of articles on classified advertising which he sold to the Chicago Tribune and used the money to pay his rent and secure office furniture and a typewriter. Later he syndicated the articles to about a hundred newspapers and this marked the beginning of a successful new syndicate. It was built mainly on two ideas. One was securing the services of well-known writers to cover big national events. In 1908 Adams sent William Allen White, famous editor of the Emporia (Kan.) Gazette, to cover the Democratic national convention in Denver, Colo., and he followed this up in 1910 by having Rex Beach, the novelist, cover the Jeffries-Johnson fight in Reno, Nev. The other was offering short features which proved popular with editors because of the small space they occupied. Among these were Walt Mason's "Prose Poems," George Fitch's "Vest Pocket Essays," Kin Hubbard's "Abe Martin" and the women's features of Ruth Cameron and Elsie Robinson. In 1912 Victor Lawson, publisher of the Chicago Daily News, sent Adams to New York to organize a syndicate and the result was Associated Newspapers, a cooperative enterprise supported by the New York Globe, the Chicago Daily News, the Boston Globe and the Philadelphia Bulletin. Within a year Adams had started on their careers such well-known writers and artists as Thornton Burgess, Dr. Frank Crane, Edgar A. Guest, J. N. ("Ding") Darling, H. T. Webster and "Believe It or Not" Ripley. After a year with Associated Newspapers, Adams returned to his own syndicate which he moved from Chicago to New York, where it has been conducted since that time. In 1913 a new syndicate was organized by a man who was destined to become an outstanding figure in modern syndicate history. He was John N. Wheeler, who had been a reporter and baseball writer on the old New York Herald and had collaborated with Christy Mathewson, famous pitcher for the New York Giants, in writing a series of baseball stories released by the McClure Syndicate. Associated with Wheeler in the new enterprise were Guy T. Viskniskki and Ed McClure, both of whom had been with the McClure Syndicate. Wheeler celebrated his advent in the syndicate business by luring H. C. ("Bud") Fisher, the creator of "Mutt and Jeff," away from the Hearst organization with an offer said to have been $50,000 a year, the largest salary ever paid for the services of a newspaper artist. This contract was guaranteed by the New York World, which thereby secured the comic strip for its daily and Sunday issues and also paid off an old score against Hearst for his raid on the World staff in 1895. The Wheeler syndicate specialized in sports, features and continued to distribute the articles by Christy Mathewson. But it also syndicated Fontaine Fox's cartoons and sent Richard Harding Davis to Vera Cruz during the occupation of that port by General Funston and to Belgium as a war correspondent at the opening of the world war. In 1916 Wheeler, because he did not have stock control, sold out his interest in the Wheeler Syndicate which was taken over a short time later by Clinton T. Brainard of the McClure Syndicate,9 who had become head of that organization in 1911. Soon after the close of the world war Brainard secured for it the rights to the memoirs of Gen. Eric von Ludendorff of the German army. He scored his greatest coup, however, in 1922 when he purchased the exclusive rights to publication of the memoirs of former Kaiser Wilhelm II. for which he paid $250,000, at the rate of approximately $3 a word. At about the same time Brainard also purchased the memoirs of former Premier Asquith of Great Britain. Wheeler's next enterprise was the Bell Syndicate, organized the same year he retired from his first venture, and when Fisher and Fox completed their contracts with the Wheeler Syndicate, they immediately signed up with the Bell Syndicate. In 1919 Ring Lardner, whose contract with the Chicago Tribune had expired, also joined Wheeler's staff.10 Wheeler continued to operate the Bell Syndicate until 1930, except for an interval of two years, from 1924 to 1926, when he was executive editor of Liberty, the magazine established by the Chicago Tribune. However, with the consent of the publishers of Liberty, he continued his connection with the syndicate, although Henry M. Snevily was actively in charge of it. In 1915 Cyrus H. K. Curtis, owner of the Philadelphia Public Ledger, began offering to other newspapers some of the feature material appearing in the Ledger as well as the work of writers for his three magazines, the Saturday Evening Post, the Ladies' Home Journal and the Country Gentleman. When America entered the world war he also established a corps of special writers in most of the capitals of Europe. As the scope of the Ledger Syndicate increased a leased wire service was instituted to supply spot European news during the latter days of the war and the several years of peace efforts and League of Nations controversies. Comics, sports, woman's page features, Sunday magazine pages, editorial page and other features were also added and today the Ledger Syndicate is one of the best-known in the metropolitan field. Its "leader" is Dorothy Dix's daily column which goes into nearly 300 newspapers and is translated into ten foreign languages. In the art field the Ledger's outstanding features are "Vignettes of Life," by J. Norman Lynd and "Hairbreadth Harry," one of the oldest comic strips in point of continuous existence. In 1918, Capt. J. M. Patterson of the Chicago Tribune (which had been selling its features to other papers since 1910) organized a syndicate subsidiary and placed Arthur Crawford in charge. Later Captain Patterson went to New York to head the Tribune's sister paper, the New York Daily News, and operated the syndicate from New York, changing the name to the Chicago Tribune-Daily News Syndicate, Inc. In 1919, two young men, John H. Millar and Eugene P. Conley, started a syndicate in Chicago with very little money but a new idea. Heretofore newspapers had been publishing features for children but the majority of these were for very small children. Calling their service Associated Editors, its founders established a "Boys' and Girls' Newspaper," aimed at the "teen" age. This proved a successful venture and although they added other features, notably Robert Quillen's paragraphs, the "Boys' and Girls' Newspaper" remained a best seller until their partnership was dissolved. Millar became the owner of a chain of country newspapers, operated under the name of the Home News Publishing company, and Conley later joined with H. H. Anderson in operating the present Publishers' Syndicate in Chicago. By the end of the second decade the syndicate was a well-organized business institution and an integral part of American journalism both in the country and the big city field. Hereafter its main problem would be to satisfy the widening interests of a newspaper reading public undergoing post-war adjustments. 1. The son of a minister in Missouri, where he was born In 1870, Patterson had his first newspaper experience on country weeklies in Iowa, worked on dailies at Fort Madison and Keokuk from 1887 to 1890 when he joined the editorial staff of the Kellogg Newspaper Company. When the Western Newspaper Union took over the Kellogg company he became editor-in-chief of the combined service, a position which he has held for 29 years. 2. The service plan provided for individual service to each paper, the features and departments to be selected by its editor with the assurance that he would have exclusive use of the material in his circulating- territory. The various features were so segregated that any desired combination could be put together in pages of any standard newspaper size in a few minutes' time. The system, although intricate in detail, was simple in operation and made it possible for each editor to control the contents of the printed service in his paper to as great an extent as he could the sections printed in his own office. Under the ''non-interference system" the matter of circulating territories was carefully worked out for every city and town in the United States in which a newspaper is published. The various features used by papers in each territory were so recorded as to make the problem of finding the material that was open in the field of any newspaper a matter of only a few seconds. Any material that was sold to a newspaper through the medium of printed service would not be sold to any other newspaper circulating in the same territory. 3. The Kellogg branches and the number of papers served were as follows: Chicago, 293; St. Louis, 296; Cleveland, 141; Kansas City, 231; Cincinnati, 145; Memphis, 279; Minneapolis, 270; Wichita, 66; and Little Rock, 96. 4. The Northwestern Newspaper Union had been organized about 1880 by H. P. Hall of the St. Paul Globe who sold it to A. E. Bunker. Bunker later sold it to Frederick Driscoll, manager of the St. Paul Pioneer-Press, who early in the 90s turned the business over to that newspaper. Its Fargo branch had been placed at Bismarck, N. D., by C. T. Bowsfield in 1890 and was purchased by the Northwestern in June 1891, when it was moved to Fargo. The Sioux Falls office had originally been located in Aberdeen, S. D. The Indiana Newspaper Union had been founded by W. D. Pratt in 1881. 5. 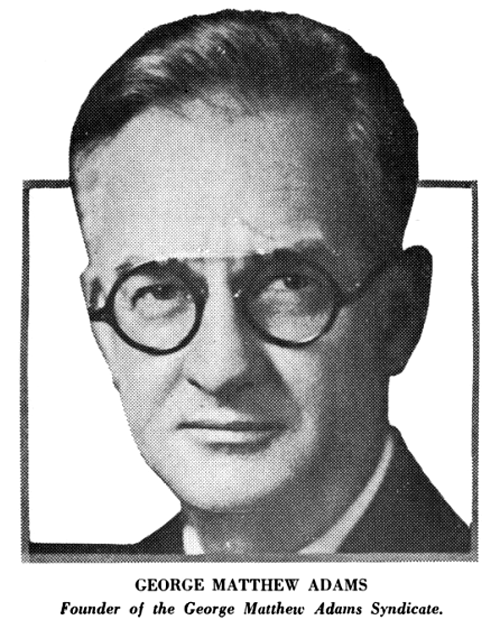 A short time later John H. Perry, president of the American Press Association, organized the Publishers' Autocaster Service, a syndicate supplying a mat service of news features, editorials, cartoons, comic strips and local advertising layouts with a casting box for the publisher to make his own stereotype plates. At one time the Autocaster syndicate was supplying some 1,500 daily and weekly papers with its service. 6. Fish was born in New York in 1870. During his school days at Neenah, Wis., he published an amateur newspaper, "Wisconsin Boys," and later served as a carrier boy and apprentice on the Neenah Weekly Gazette. As a student at Lake Forest academy he installed a job printing press and printed the Lake Forest university student paper, the Stentor. In 1887-88 he operated a job printing plant in Neenah, Wis., became manager of the Lincoln office of the Western Newspaper Union in 1893, a stockholder and director of the company in 1897, auditor in 1899, secretary in 1904, vice president and general manager in 1916 and president in 1918. 8. The Meyer Both company was organized in Chicago in 1900 by two young artists, Oscar Meyer and William C. Both, to syndicate drawings for advertisements of men's clothing. By 1903 their business had become so successful that a matrix department was installed to furnish mats instead of cuts to subscribers to their service which had been expanded to include all lines of display advertising. It is now the largest newspaper advertising syndicate service in the world. 9. Brainard was a Coloradoan, born in Denver in 1865. He worked as a reporter on newspapers in Denver, St. Louis and Chicago, then went to Harvard, from which he was graduated in 1900. For the next five years he practiced law in Omaha, Neb., and in Creede and Cripple Creek, Colo. Going to New York he worked on the staff of the World and other papers. 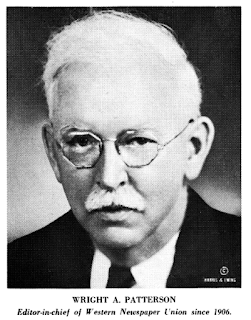 He turned next to advertising and entered the publishing business by founding his own firm, the C. T. Brainard company. He joined Pearson's Publishing company in 1909 and two years later went to the McClure Syndicate of which he was president and treasurer until his death in 1935. 10. Lardner came on to New York but no specific terms were discussed and the ex-Tribune humorist returned to Chicago. Soon afterwards Wheeler heard that a competitor was bidding for Gardner's services and sent him a wire saying he would be glad to come to Chicago to close the contract. Whereupon he received this characteristic reply from Lardner: "If you knew anything about contracts you would realize that we have one made in the presence of six witnesses in the Waldorf bar, three of whom were sober." This was the only contract that Lardner ever had with the Bell Syndicate. He continued to write weekly articles for ten or twelve years in addition to covering world's series baseball games, international yacht races, national conventions and other outstanding events. Whoa! Syndicates are coming fast and furious now! Appreciate the editorial correction; always interesting to see how early historical mistakes are made. Hey - how 'bout following this up with a post of your old Hogan's Alley Comic Strip Barons "cards".